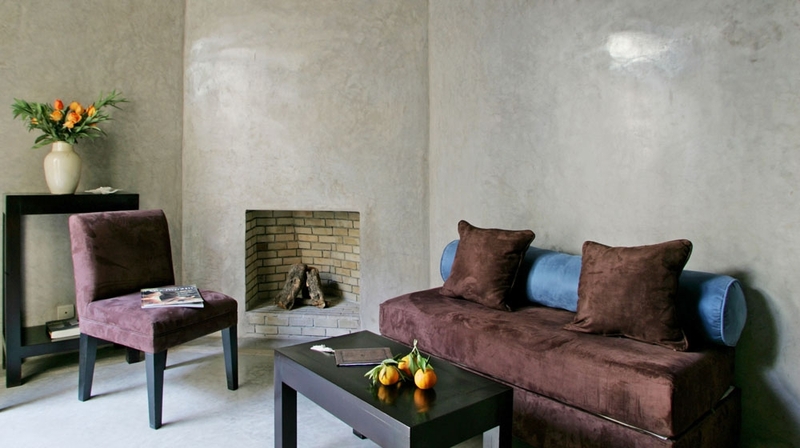 The originality of this riad resides in the mix of old materials with contemporary elements, like leather, alcantara or brocaded velvet. 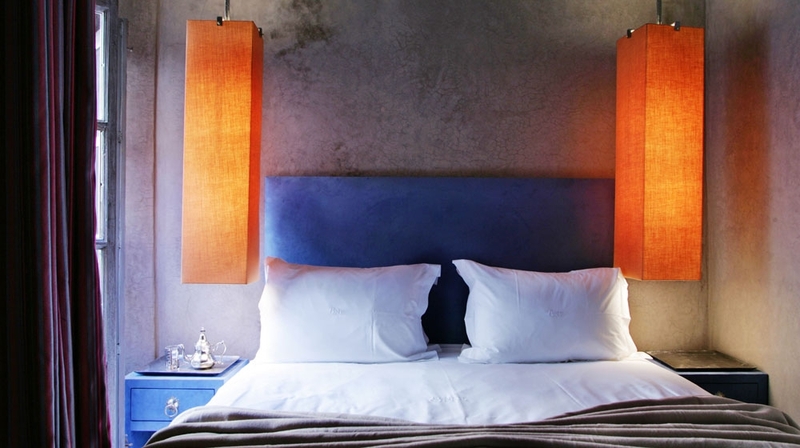 The illumination has been especially cared for, and the thick curtains give it a chic, 70s touch. 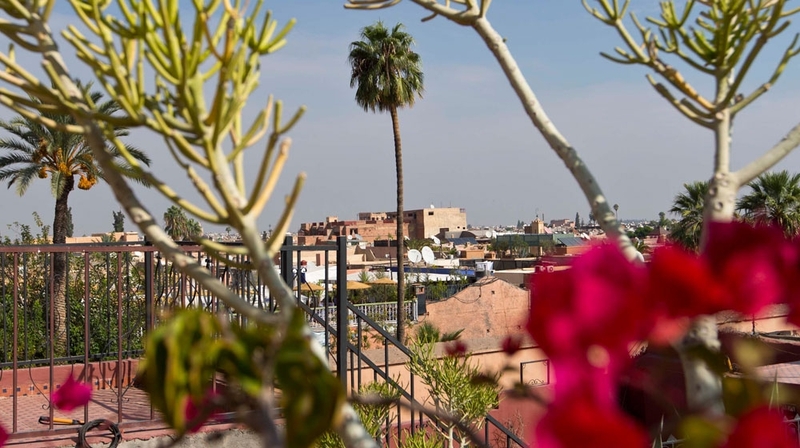 Riad Dar one is set in the old Jewish neighbourhood of Marrakesh, 80 m from the gates of the Bahia Palace and close to the Djema-el-Fna, where you will encounter snake charmers, souks and amazing street food. 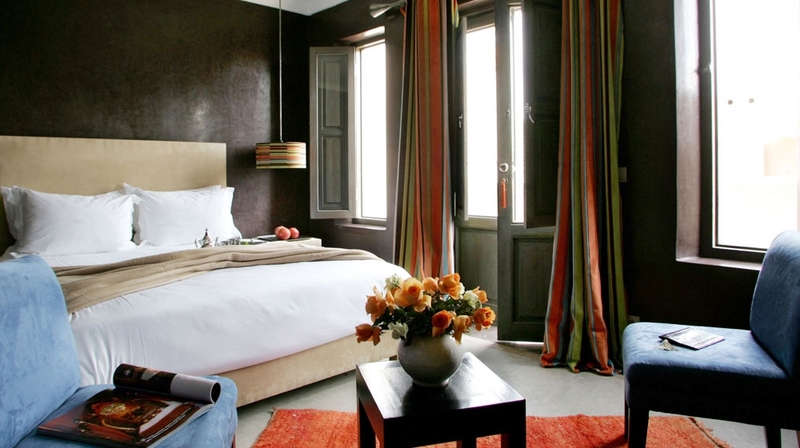 The rooms and suites of the Riad Dar One, with natural beige, chocolate or aubergine colours, give off an atmosphere of calm and serenity. They are all equipped with air-conditioning and heating and some even have a chimney. 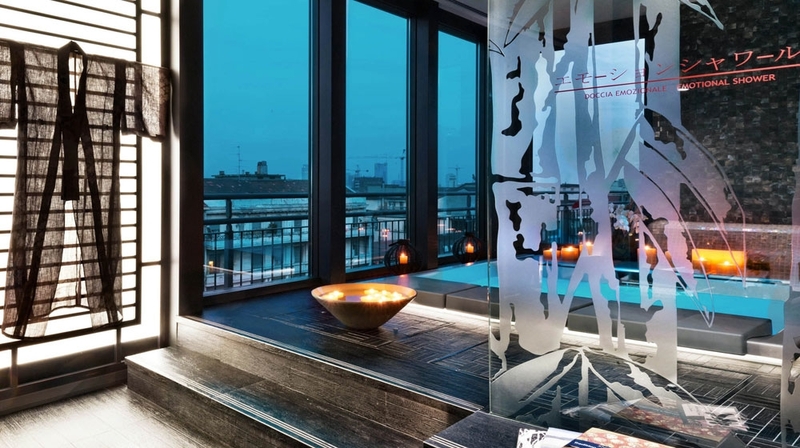 Hammam or beauty treatments and in-room massages by arrangement. 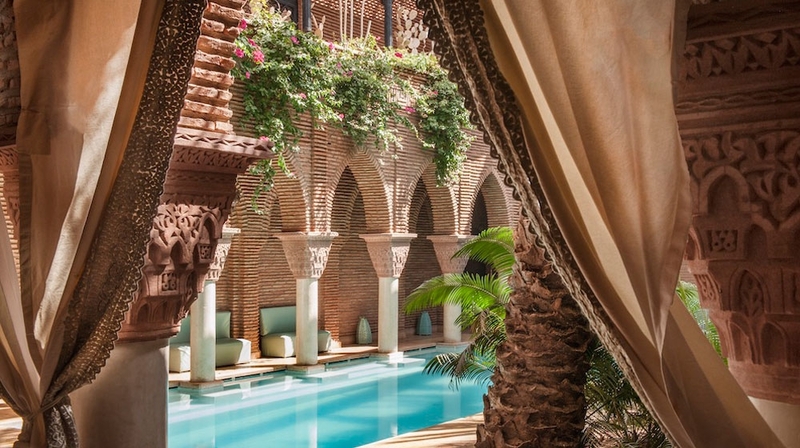 On the terrace solarium, long leather banquettes have been harmoniously placed so you can soak in the rays of the Marrakesh sun. 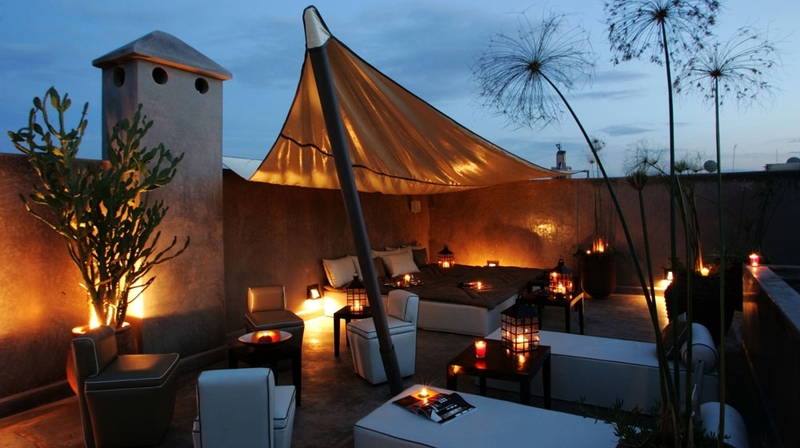 Don't hesitate to prolong these moments of pleasure and rest in the patio's dipping pool. 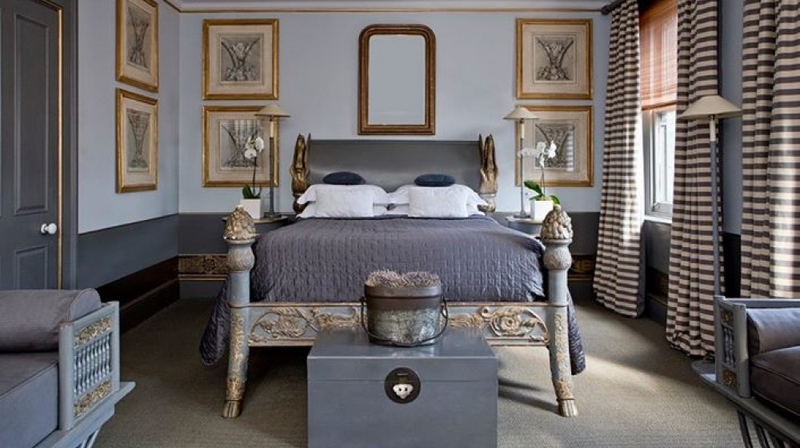 Take a peek at the views from the roof terrace as you tuck into breakfast or at the communal table in the courtyard salon. 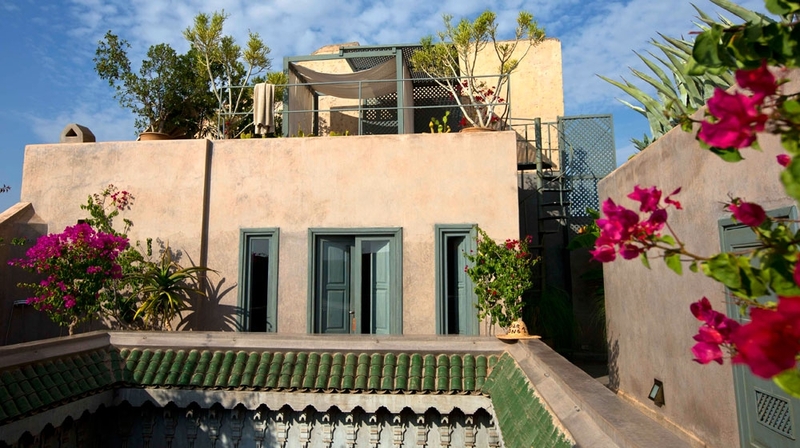 If you want to have supper at the riad, a Morrocan three-course menu costs just Dhs250 a head, and features tasty starters, aromatic tagines with couscous and fresh, fruit filled desserts. Mint tea comes as standard and is very refreshing. 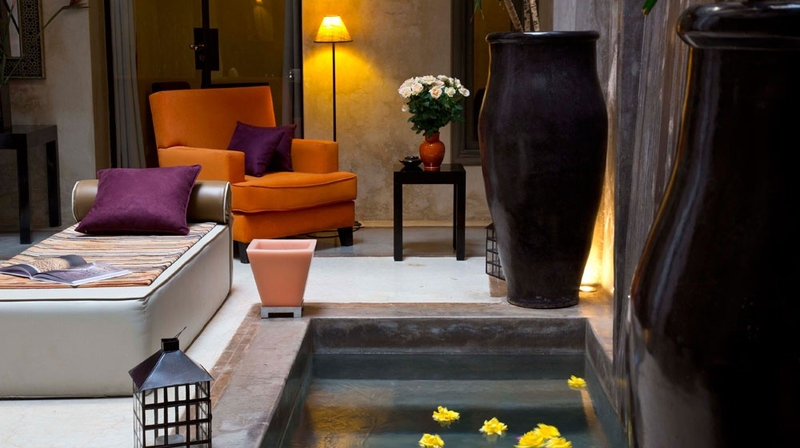 Transport to and from the airport is organized by the riad, thanks to a private shuttle or a "grand taxi". 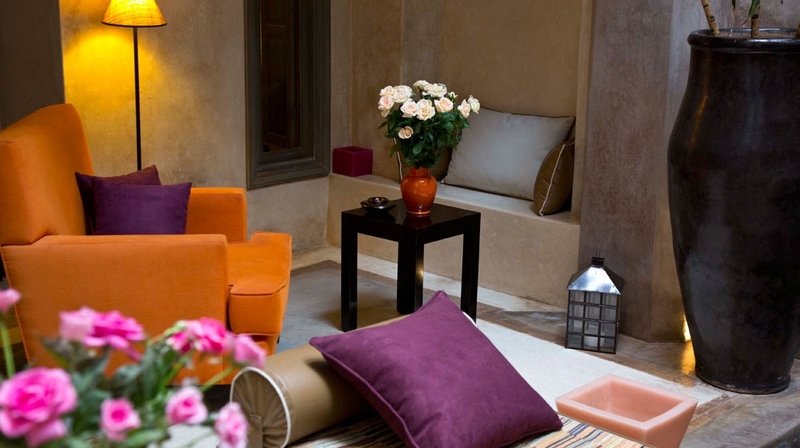 If you are arriving by your own means, the hotel staff will accompany you from the Bahia Palace to the Riad Dar One. 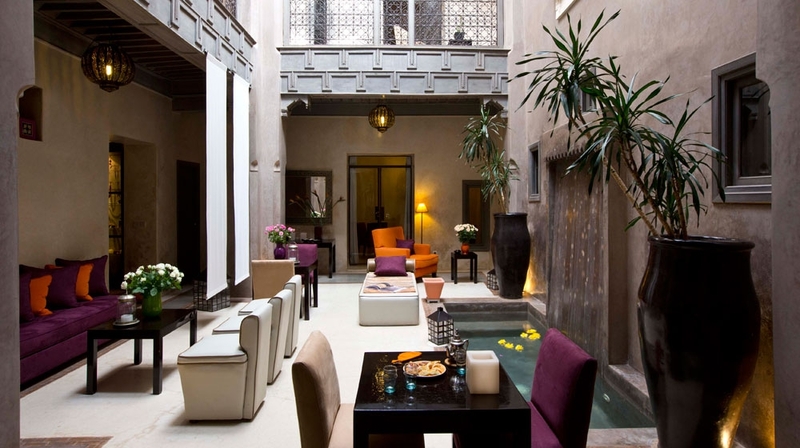 Enjoy a cool cocktail, bear or glass of champagne form the riad's bar.